Note: I am having some extra-funky GoLive problems tonight, so if this page looks bad, apologies. I think the program realizes that I finally broke down and bought Dreamweaver. I can’t take this crap anymore. Thirty-seven-column day goes well enough; a few moments here before I get back to work. Last night I was up banging away at columns and email until 1 AM, and when I was finished I had the nagging suspicion that the font size on the Bleat was too small. You know the feeling. Sure you do. So I fixed it, uploaded, went to bed, and thought: did I change the archive version? Because that’ll haunt me. Somehow I conquered my demons and went to sleep. This article, forwarded to me by a few kind readers, struck a chord. An augmented chord, the sort that would go good with a quizzical dog expression. Nothing against the author, who I recall from his brief stint as half of Dear Abby after 50 percent of the Landers Advice Consortium gave up the ghost, but really, you could have found some people with actual collections. I too wonder what will become of my magazine collections, and have decided to give them to the U of M, where they will slumber in the U’s vast underground archive next to the Ark of the Convenant. (I’m not kidding about those underground archives.) And I have a rather substantial collection of pop culture books that would make a nifty little research library; who’s to say that highly evolved cockroaches will not find them entertaining in 23 million years? On the other hand, lottery tickets are not a stupid thing to collect; they’re examples of the sort of sixteenth-notes that make up the random fugue of daily life, and hence no one gives them any thought. Nothing you find on the ground outside a convenience store seems valuable, but give it a hundred years. Perhaps I’m glad my parents didn’t collect anything – well, my Mom collected Hummels, and if there’s anything you learn when it’s 1964 and you’re living near a National Guard Air Force base, it’s space your Hummels, because otherwise one sonic boom and those guys are dust. 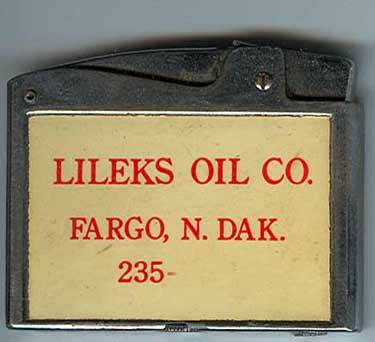 I don’t know what happened to them; probably boxed up and stowed in a dark warehouse on the edge of Fargo with the rest of the stuff my dad stored when he moved. If there’s anything more depressing than the thought of small ceramic Teutonic tots staring sightlessly into the dark in a cold shed on the edge of the North Dakota plain, I can’t imagine it at the moment. 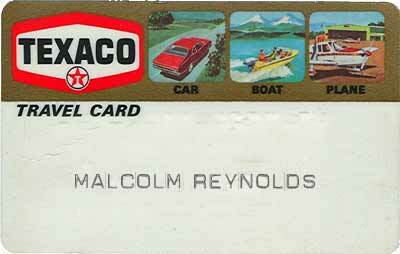 My dad collects noting, though – a few model planes, if they were ones he’d flown, or had the most-holy Texaco brand. The old logo anchors the new one. Still not as cool, though. Most remade logos were mistakes. That Exxon logo in particular; it just looked mad about something. All in all, a fine day. It was sunny; seems like it’s been grey forever. No snow. Nearly the entire hill is bare, showing all the patches I’ll need to reseed. Several years ago a truck came to remove a big tree, and I can still see the tracks and stump-wound. I am anxious to get a start on it in the spring, along with staining the fence. A retaining wall also needs to be replaced. And of course I have to pour the blood of the contractors down the water feature in a sacrifice to whichever elder gods govern the swift completion of abandoned projects. So far with the phone: can’t get the Bluetooth headphone to work. The instructions remind me to turn it on, which I admit is a crucial and often overlooked step. I got it to sync, so they recognize each other. Hey, phone, how’s it going? Great. How you doin’, Borg implant. But there’s no on-off switch. There’s a button with a picture of a phone on it, and it lights up according to powered status, but there’s no explanation in the manual. In fact the manual’s instructions are different from the phone’s interface, which isn’t surprising; I’d forgotten how infuriating these little GUIs can be. Leetle tiny pictures and leety tiny buttons and menus that go on forever. On the other hand, it has the old-style phone ring built in, so there’s that. If they come out with an Apple Phone today, I’m going to feel stupid. 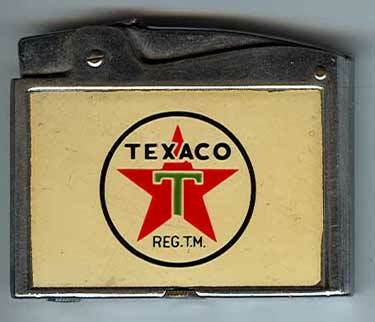 One more thing before I go: the other side of the Texaco lighter. Of all the lighters in my collection, this one’s my favorite. As you can probably guess. New Quirk and Motels: it's Georgia today, and not much of it.